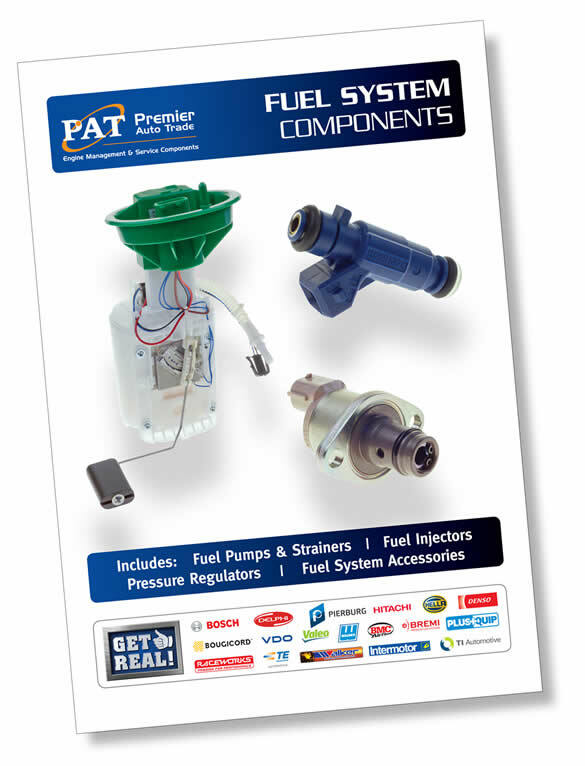 Premier Auto Trade has announced further updates to their comprehensive EFI and Engine Management product catalogue series with the release of edition 4 of the Fuel System Components catalogue. The new edition of the Fuel Systems Components catalogue has 280 colour pages and includes Fuel Pumps, Fuel Injectors and Fuel Pressure Regulators, featuring over 900 part numbers and over 8000 vehicle application listings. Also included are fuel injector repair kits and service components, fuel lines, fuel temperature sensors, fuel rail sensors and suction control valves. PlusQuip fuel system tools and equipment such as fuel pump installation tools and fuel tank lock ring removal tools are also detailed in the new catalogue, along with fuel pressure and flow testing kits, diesel injector return flow testers and electronic fuel injector probes. When you supply and fit products from Premier Auto Trade, the Home Of Quality Brands, you can expect a product designed and tested to the vehicle manufacturer’s specifications offering superior performance and exact fit every time. Premier Auto Trade specialises in genuine and original equipment (OE) products from the world’s leading manufacturers including Bosch, Delphi, Pierburg, Denso, VDO, Standard Motor Products, TI Automotive, Walbro, Denso, FAE, Valeo, Hitachi, Bougicord, Bremi, Hella, TE Automotive and Walker Products.